EtownMTB would not exist without our awesome volunteers!! As we continue to grow the need to help will also grow to support our team. Please review the volunteer positions and their descriptions. Please consider donating your time and talents to one of these positions. Collecting receipts from individuals needing reimbursement for a purchase they have made on behalf of the club. Creating and submitting a Request for Reimbursement Form to Sean Houseknecht at Elizabethtown Middle School. Collecting cut checks from the Middle School office and delivering them to the individual needing reimbursement. Providing vendor invoices to Sean Houseknecht and request a check for payment. Developing creative and relevant photos, quotes, updates and events to post on the MTB Club accounts. Ensuring team members are represented with positive intentions,with equality and with respect. Determining when and where to use FB Live to stream practices, races, or any events involving the club. Posting information, photos etc at the request of the Coach. Develop a method of matching students who are in need of a ride to parents who are willing to give a ride. Photograph team members while riding, mingling, cheering and supporting each other during practices, events and races. Share the photos in a centralized location for team, family and friends to view. Previewing and choosing photos that represent individuals in a positive respect. Execute successful fundraisers that are manageable for team members and their families. Generate ideas to enhance team and community spirit and relationships. Develop ways to offset expenses for individuals and their families. Collect and submit donations to Club Treasurer as needed. Establish a snack and drink for each off-site ride, and a designated person to transport the snack to the site. Race day food should be pre-planned at least a week in advance with healthy options from all food groups, multiple drink options, and recovery foods. Request parents and/or sponsors to supply Race Day foods (we have used sign up genius in the past, but this year our TeamSnap may have these capabilities). Connect with area hotels well in advance (of the races) to propose blocking rooms for our team at special group rates. Race Day comes with a plethora of logistics TOO great for any one person to handle! Pit Zone Operator- set up trainers and establish timeline of when riders need to report to them. Our parents of EtownMTB are awesome and this team would not run without you! Please consider one of the listed positions on this page to make 2017 a success. In addition to the list of volunteer positions needed to run our team, we are required by PAMTB to provide volunteer hours to the league. Each race there will be opportunties to sign up for different positions. This sidebar will contain quick links to each race volunteer signup page. 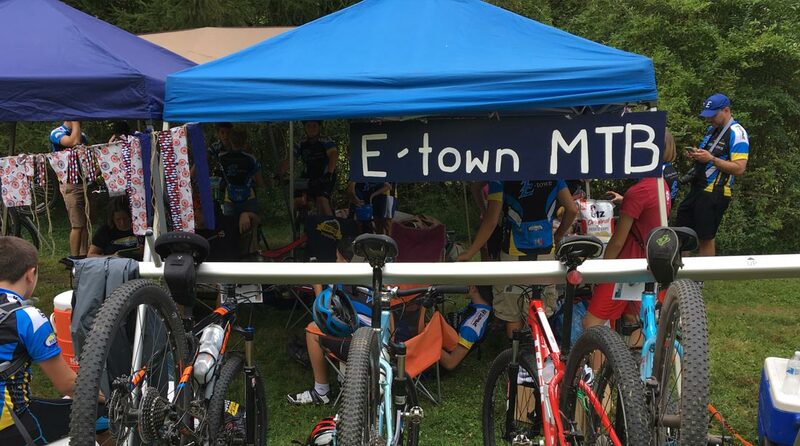 When signing up, please make sure to signup as part of the EtownMTB team so that we receive credit for our hours.